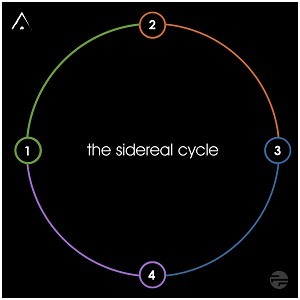 The plans for what would become The Sidereal Cycle took place without any input from me. I first found out about the concept from a post on the Altus blog. As soon as I read it I reached out to Mike (Carss, AKA Altus) with a resounding, “Yes, please! Fans of Free Floating and ambient I’m sure understand my enthusiasm. Simply put, Mike Carss is a master of ambient music, there can be no doubt about that. Of the ambient artists that I listen to and love, I feel that Altus music is the most ‘composed’. While much of it is decidedly cinematic in structure, even the more minimal and abstract pieces seem to have deeper structures and themes that resonate throughout. With his focus on thematic elements, the music of Altus is also somewhat painterly, in that the melodies and structures help to draw mental images, especially since each release usually contains a specific topical reference (time, sleep, fire, water, etc.). And so it is fitting that Altus turns his hand once again to the grand theme of time and the seasons with The Sidereal Cycle. Here we begin at the summer solstice, when the sun is highest in the sky and sunlight rules the hours of the day. The drones here are long and slow, like the shimmering heat rising from the ground. The music is infused with an unmistakable warmth, conveying the feeling of laying in the summer grass, staring at the clouds as they drift across the sun. Or it is the music of Midsummer Nights’ dreams, floating like fireflies in the hazy evenings. And so we begin our exploration into the circular rhythms that define the days and years of our lives. Altus is the perfect guide for our seasonal wanderings. So soak in the beauty of these tones through the long days and short nights of summer, listening to Cygnus in flight through the summer skies, dreaming of shimmering sun and flickering stars. 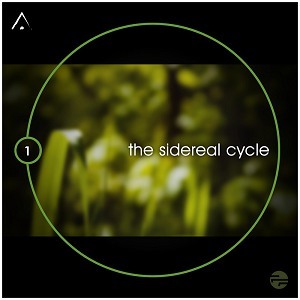 The Sidereal Cycle is a four-part suite of long-form ambient works created by Altus to reflect the earth’s annual cycles as we make our way around the sun each year. Each release is set to coincide with the Solstices and Equinoxes, beginning with the summer solstice of 2012. The title of each track pays homage to dominant constellations in the northern sky during each of the seasons.